How Much Do French Bulldogs Cost - Will This Breed Break The Bank? You are here: Home / Dog Facts And Fun / How Much Do French Bulldogs Cost – Will This Breed Break The Bank? How Much Do French Bulldogs Cost – Will This Breed Break The Bank? The French Bulldog is riding a wave of popularity today the likes of which the breed has never before seen! In the UK, the Frenchie has just usurped the Labrador Retriever to become the nation’s most popular dog. Across the pond in America, it looks likely the exact same upset will occur within the next year or two. How much do French Bulldogs cost? Read on to find out! A number of factors can influence the price a breeder charges for a French Bulldog puppy. 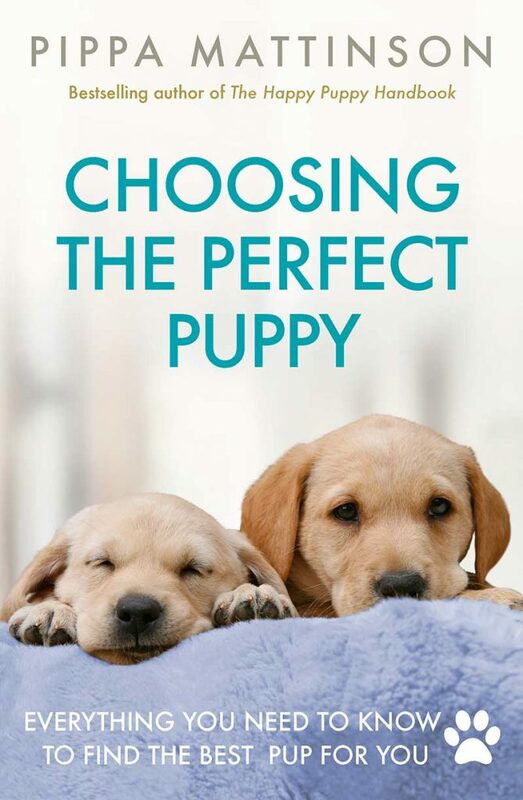 Puppy price is typically reflective of two variables: what the breeder had to spend to produce that puppy and the market value of the puppy. 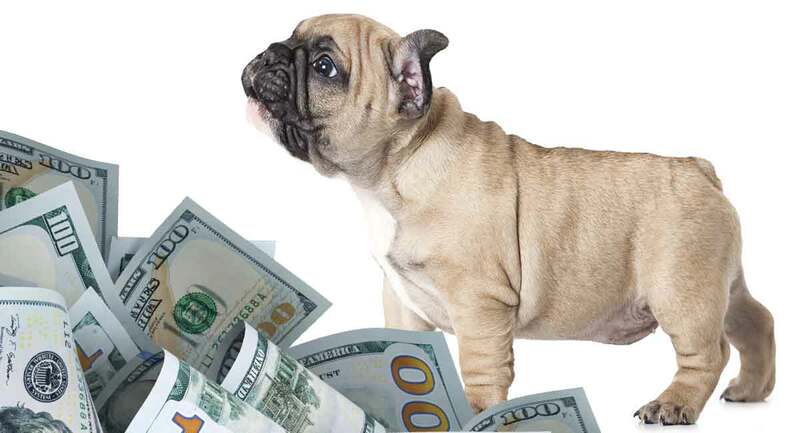 A reputable, responsible purebred dog breeder’s operating costs can be steep, which is why a good breeder will readily admit they don’t do it for the money! A backyard breeder or puppy mill breeder, on the other hand, is definitely in it for the money. This type of breeder will strive to minimize costs to breed and sell puppies and maximize profits, which can mean skipping vital health and genetic testing and skimping on parent dog and puppy welfare. This is just one of many reasons why you should avoid purchasing a puppy from these types of disreputable operations! So what does it cost a genuine, reputable breeder to produce that French Bulldog puppy you have your eye on? How much do French Bulldogs cost their breeders? Let’s take a look at some average costs. When it comes to picking out a puppy to purchase, you really want to be able to tell a reputable breeder from a backyard breeder, puppy mill or import operation. Responsible breeders take their own personal reputation in the breeding business seriously. They want to breed and sell healthy puppies, so they take the time and spend the money to produce the healthiest possible litters. This is particularly important in the case of French Bulldogs, since this is a breed that typically cannot breed or whelp naturally. This means the breeding costs are higher per litter than with many other dog breeds. Backyard breeders are much more casual. They may (or may not) make an effort to care for parent dogs and puppies. However, you can almost be sure they aren’t knowledgeable about breed lines, genetics, health testing or the special breeding needs of French Bulldogs. Puppy mills are in it to make a profit, plain and simple. Their goal is to spend the least to make the most. One recent estimate indicated there may be 10,000+ puppy mills operating in the United States alone. 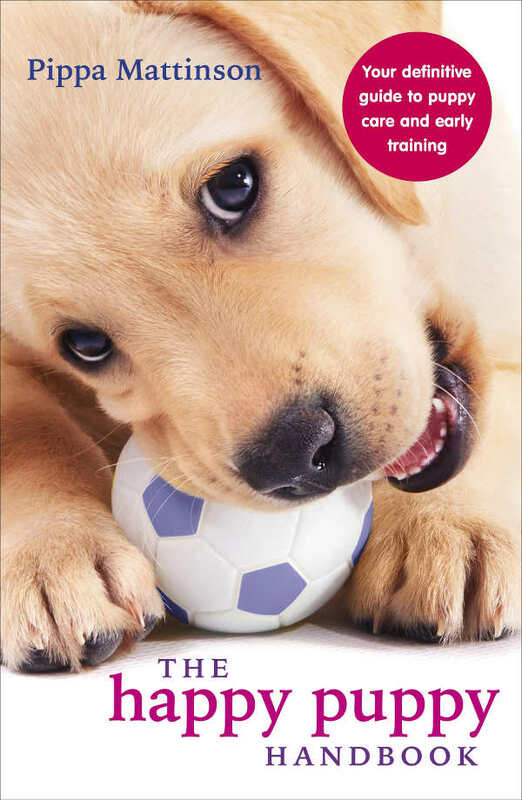 A newer entrant into the puppy business is the import breeder. Puppies are bred outside of the country and then imported for sale. This type of business is basically just another puppy mill operating at even lower costs and with even less oversight. Unfortunately, you can’t always tell by the price tag whether you are dealing with a legitimate breeding operation, a backyard breeder, a puppy mill or an import breeder. This is especially true with exceptionally popular breeds like the French Bulldog, which can command premium prices! The best way to verify the legitimacy of the breeder is to visit the kennel in person, meet the parent dogs, take a tour and see the premises. If this is not possible, do your best to verify the breeder remotely by calling local veterinarians and contacting the AKC to find out if the breeder is registered. It is worth searching online to see what other buyers say about working with that breeder. A reputable breeder will have standard protocols in place to protect each puppy that is placed and to protect that kennel’s own reputation in the community. At this point, you might be wondering how it works to rescue (adopt) a French Bulldog puppy or adult dog from a shelter. How can you know that dog’s background? The answer here is that you really can’t, unless the shelter knows the dog’s history and is willing to provide it to you. French Bulldogs are relinquished to shelters for all sorts of reasons, but the most prevalent reason for surrender today is the high cost of veterinary care for these brachycephalic (flat-faced) dogs. What Is The Cost Of A French Bulldog Puppy? Reputable breeders report charging anywhere from $1,000 to $10,000 for a puppy. This cost difference can reflect a variety of factors. A “pet” quality French Bulldog is a puppy that lacks suitable conformation (appearance) to compete successfully in the show ring. However, this dog may be a perfectly wonderful pup in every other way. If you don’t want to show your Frenchie, be sure to let the breeder know you are interested in a “pet” quality puppy and this may reduce the price tag a bit. A “show” quality French Bulldog is a puppy that comes from a pedigree lineage of champions and/or shows the potential to be a show ring champion. “Show” quality puppies may also come with breeding rights, which will be important if you want to begin breeding Frenchies. Another option is to rescue a French Bulldog that is seeking a new forever home. This can bring your initial costs way down. 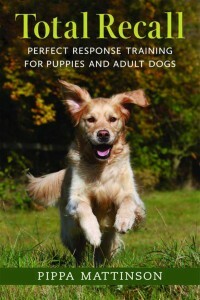 In addition, you will also have more information about the kind of lifetime veterinary costs your new dog may require. Average adoption fees range from $50 to $250 per dog. Often, shelters will throw in valuable extras, including collars, tags, micro-chipping, spaying/neutering, vaccinations, food, supplies and even training classes to facilitate making a new forever match. Are There Other Costs With A French Bulldog Puppy? There are two costs every aspiring dog owner must be aware of: the cost to acquire the puppy and the cost to take care of the puppy annually. When you add both together, you may find you are looking at quite an investment! One estimate suggests dog owners spend upwards of $180 per month caring for their canine companion. That’s just shy of $2,200 per year. Keep in mind this estimate reflects the average monthly and annual cost for a healthy young growing puppy. This includes routine veterinary check-ups for maintenance care such as teeth cleaning and required vaccinations. But what if your puppy’s breed has known ongoing health issues, such as the French Bulldog’s well-known brachycephalic (flat-faced) muzzle shape? What will your monthly and annual care bill look like in this case? Let’s take a moment to look at some of the special veterinary costs frequently associated with choosing a French Bulldog puppy. How much do French Bulldogs cost in specialist veterinary treatment? A recent survey in the Journal of Canine Genetics and Epidemiology looked at the some of the most common reasons why UK French Bulldog owners took their pups to the vet. Otitis externa (ear infection): $172 for treatment. Conjunctivitis (pink eye): $50 to $150 for treatment. Skin fold dermatitis: $255 for treatment. Pyoderma (bacterial skin infection): $128 for treatment. Upper respiratory tract infection: $274 for treatment. Stenotic nares (malformed or too-small nostrils): $500 to $1,000 for corrective surgery. Sleep apnea/elongated soft palate: $200 to $1,500 for corrective surgery. Patellar luxation (knee joint dislocation): $1,500 to $3,000 for corrective surgery, per knee. Brachycephalic Obstructive Airway Syndrome (BOAS): $10,000+ for multiple corrective treatments, including surgery. Do you have your heart set on a French Bulldog puppy? 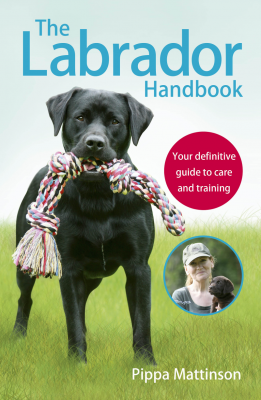 We hope this article has helped you think through the time and cost commitment and special care this particular dog breed requires. Does your Frenchie have a full bill of health? Let us know in the comments. Peltz, J., “Lab still top dog, but French bulldog leaps in popularity,” PBS, 2018. Kisko, C., “French Bulldogs overtake Labrador’s as UK’s most popular dog,” United Kennel Club, 2018. O’Neill, D.G., et al, “Demography and disorders of the French Bulldog population under primary veterinary care in the UK in 2013,” Canine Genetics and Epidemiology, 2018. Kiernan, J.S., “Cost of Owning a Dog: Averages and Most Expensive Breeds,” Wallet Hub, 2018. Niedziela, K., et al, “10 top pet health conditions that cost $96M to treat in 2017,” Veterinary Practice News, 2017. McElhaney, K., “French Bulldog Cost Breakdown,” Mac’s Finest French Bulldogs Kennel, 2019.